Strong Character Relationships in Stories | Stavros Halvatzis Ph.D. In her book, Creating Unforgettable Characters, Linda Seger reminds us that character relationships are at the centre of most stories. With the exception of such stories as Waiting for Godot, by Samuel Beckett, or Steven Spielberg’s Duel, most tales consist of characters who love, hate, like, or dislike each other. Novelist Leonard Tourney stresses that couples have become more important in fiction and in film. 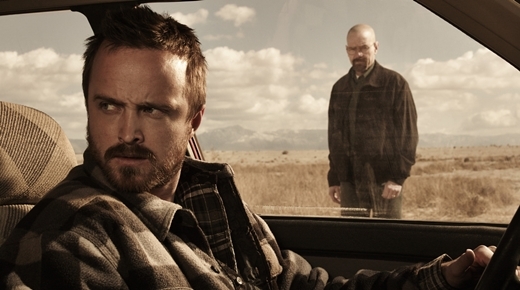 Pairing people up into relationships changes their individual chemistry; it brings out differing aspects in them: Walter White’s complex master/slave relationship with Jesse Pinkman in Breaking Bad, is one of the many examples of this sort of complexity. Older television series such as Cheers, Starsky and Hutch, Cagney and Lacey, and Moonlighting, are more cases in point. This is not limited to television alone. Ask yourself the question: How successful would Butch Cassidy and the Sundance Kid, Rain Man, or Breaking Bad have been without the special relationships between the lead characters? All of these stories have characters based on traits that cause the most bang for the buck when mixed together. And it’s not any old mix. 1. Characters who have something in common that brings them and keeps them together. 2. A conflict between characters that threatens to tear them apart and is the cause of much of the humour or drama in a story. 3. Characters have contrasting traits — opposites may attract, but they often combust when brought together. 4. Characters that have the ability to transform each other, for better or worse. Marshaling characters utilising these relational traits is a useful method for creating interesting stories. Writing characters engaged in strong relationships with one another is an important way of generating interest in your stories. This entry was posted in On Character and tagged amwriting, Ian1, novel, novelist, Relationships, screenplay, screenwriter, writer on October 21, 2018 by Stavros Halvatzis. Waring : contains spoilers for those who have not watched season 8 of the walking dead. 1. Rick and Negan have something in common that brings them together. They both respect Carl’s memory and are willing to negotiate a peace treaty to honor Carl’s last wish : Peace between Alexandria and the Saviors. 2. A conflict between characters that threatens to tear them apart. Rick believes the only way to establish peace with the Saviors is to kill Negan. Rick puts his people first and wants to do what is best for everyone. Negan rules through fear and violence and is only interested in himself and his needs. Rick defeats Negan and spares his life to remind his new found followers of how different he is from there former leader. In short : A good place to start is looking at the relationship between the main protagonist and main antagonist.